Have you thought about renting classic cars for weddings, road trips, or professional photo shoots, but were looking for the right forum to find renters? From a 1965 Ford Mustang convertible, a 1950 Rolls-Royce Bentley, or a 1970 Chevrolet Impala, Vinty provides hundreds of choices through its online rental marketplace. The vehicle selection isn’t limited to only classic cars; users can also choose from muscle cars, classic camping vans, and classic trucks. The rental process begins when a renter creates an account on Vinty’s website. After browsing Vinty’s inventory and finding the right car, a user will submit his or her rental request. As part of the verification process, Vinty asks for a driver’s license to confirm several factors, including identity, insurance coverage, criminal record, and driving record. Rental companies can do the verification process themselves or Vinty can do it for them, says Lapointe. The rental company organizes the pickup time and location with the renter. At the pickup location, the renter will fill out the required paperwork. According to Lapointe, some of the rental companies prefer if the customer goes to the rental facility to get the car while other times the car will be delivered to the customer. On average, the typical rental lasts from one to three days, says Lapointe. Some of the most popular models include the Ford Mustang convertible and classic wedding cars such as Rolls-Royce Bentley. Vinty also gets requests for premium corporate events, such as vintage car tours for customers or press events. Launched in August 2016 in Southern California, Vinty now has listings for several U.S. cities, including Atlanta, Boston, Detroit, Maui, Las Vegas, Minneapolis, New York, Rhode Island, and San Francisco Bay area. Vinty wants to continue to increase its vehicle listings by serving the peer-to-peer market. 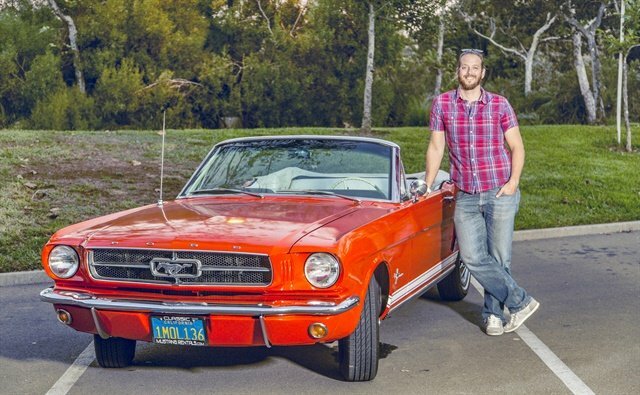 Similar to Turo, Vinty looks to provide a peer-to-peer carsharing platform for private classic car owners to rent their personal vehicles. Expanding to individual car owners brings a new set of challenges. According to Lapointe, the biggest challenge has been looking for coverage options to offer renters. Additionally, Vinty faces the challenge that some personal insurance policies won’t cover the rental of a specialized car like a classic. Currently, Vinty doesn’t need to provide extra insurance for its rental company partners since they already have their own insurance. But if Vinty wants to reach out to individual owners, it needs to find an insurance company that will provide coverage in the peer-to-peer marketplace.